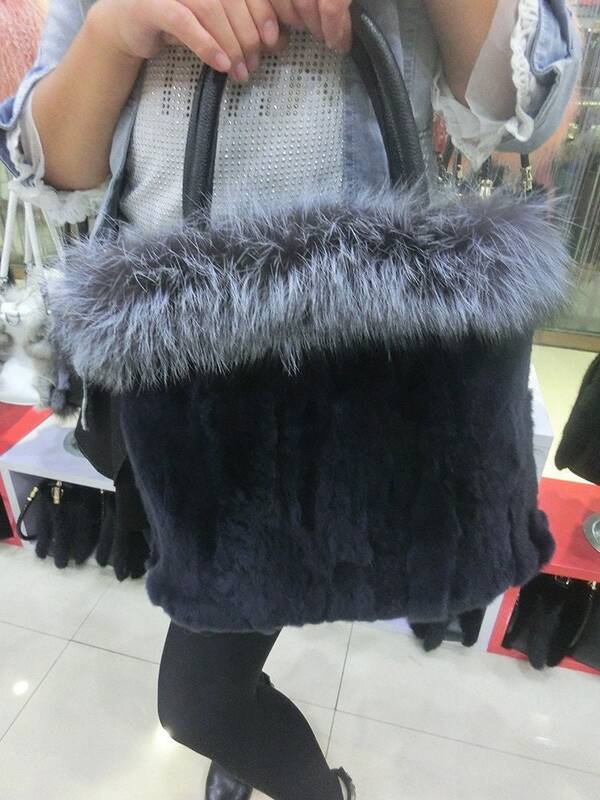 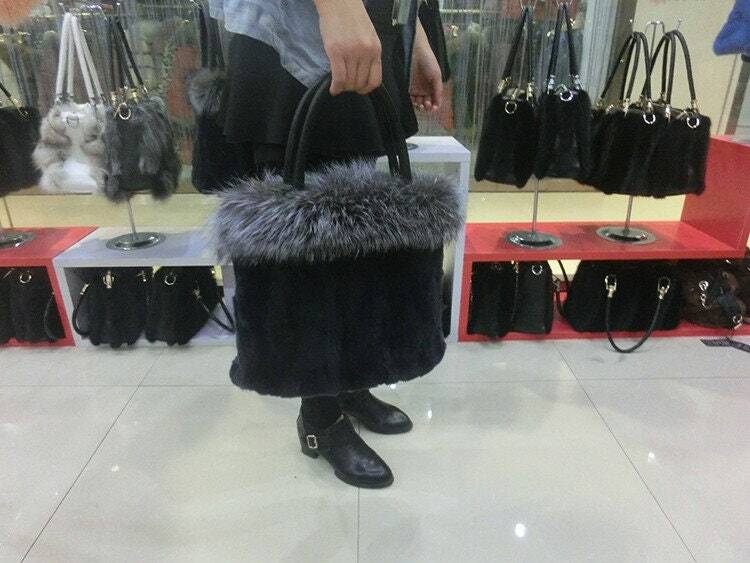 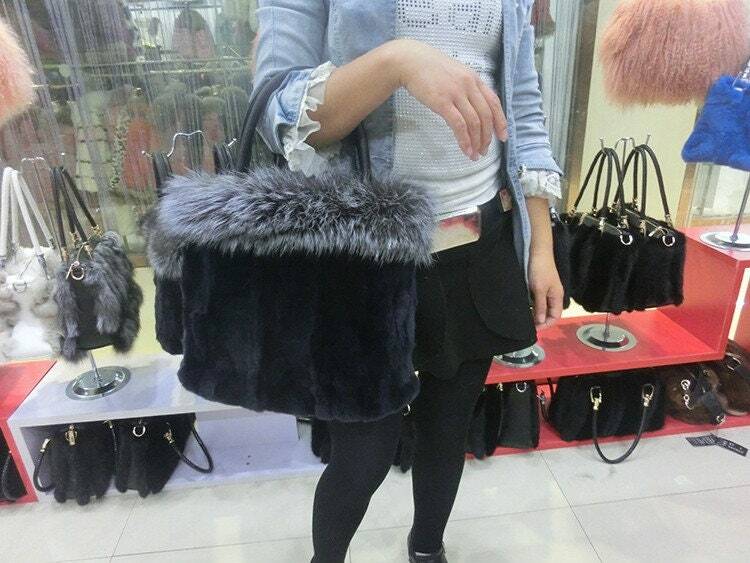 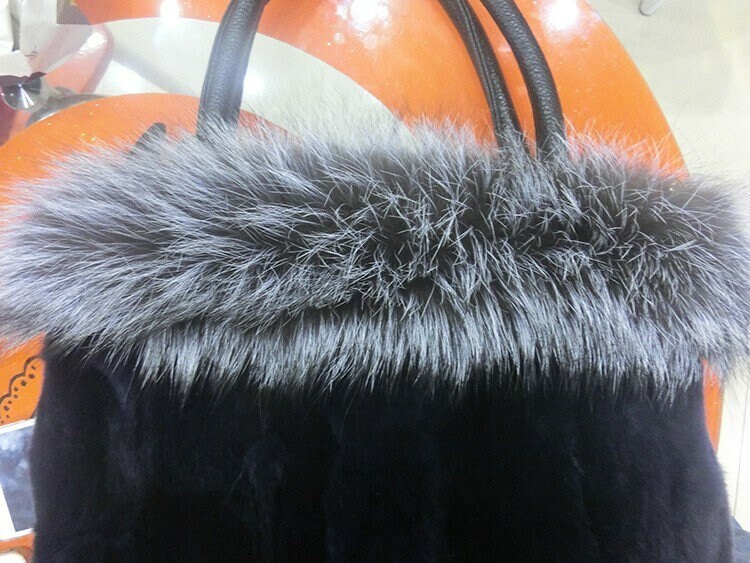 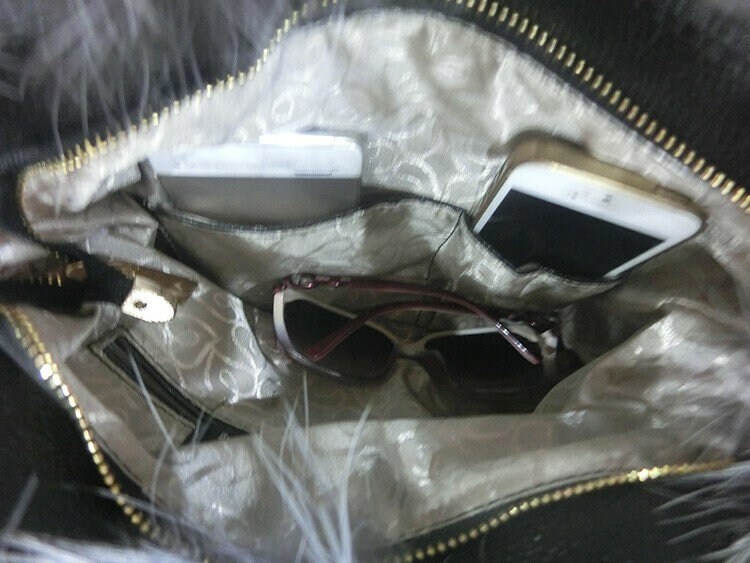 Stunning womans handbag crafted from genuine black rabbit and fox fur that is dark with white tips. 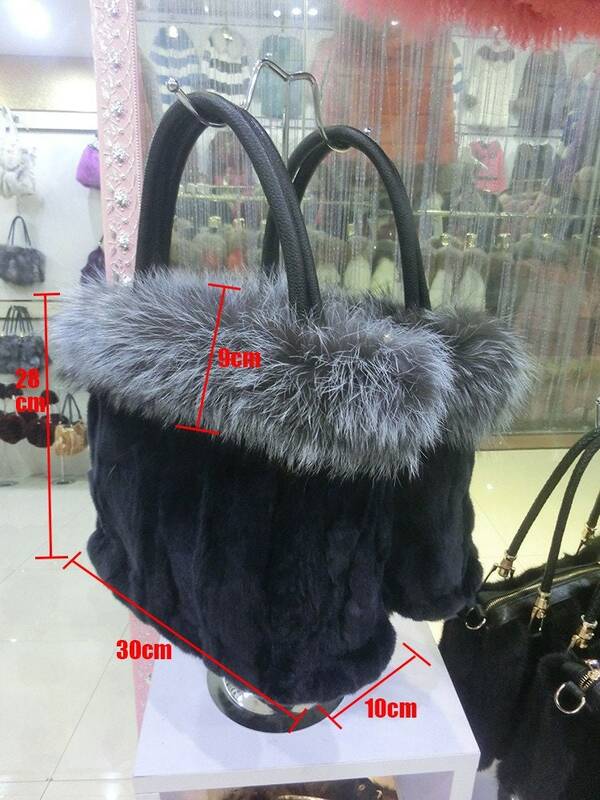 Please see photo for measurements. 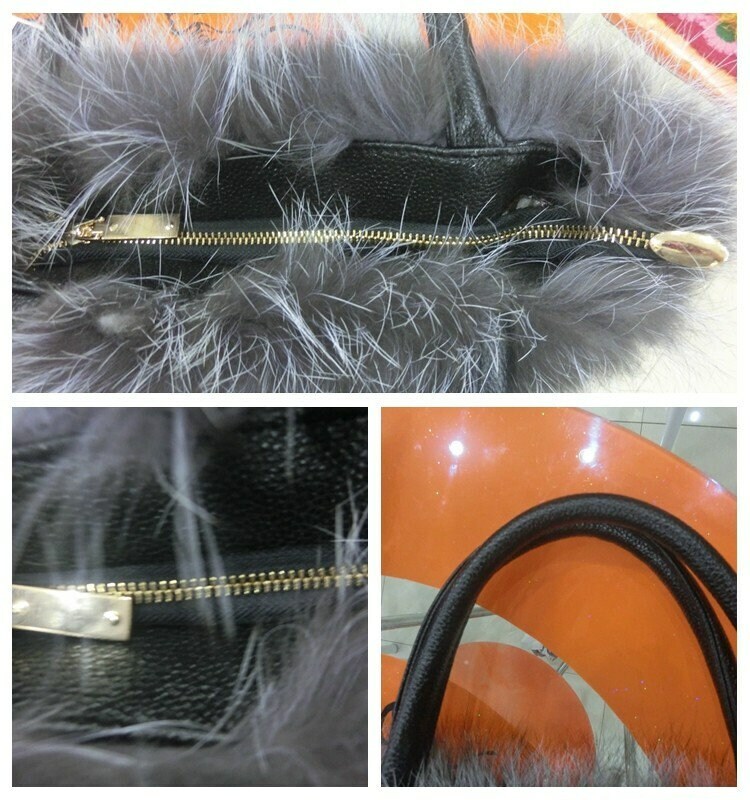 Bag has a zip for closure.